It is made in USA and will support any camera set up from 1 to 60 pounds. You can put a fully rigged Alexa or Red One or Red Epic/Scarlet on one end and over 120 pounds of counterweight on the other end. You can't do this with those flimsy jibs you see on eBay. A fully professional jib that is robust, and very fast to set up. • All the capability of the original SEVEN Jib but folds to just 33" in length! The Seven Jib Compact XL. This is a versatile, compact, surprisingly easy-to-set-up portable jib that can really add magic to your project. Whether you’re going for an elegant, graceful glide into a scene or a trippy, disorienting POV sequence, this jib’s going to go to work for you. We’re very excited to have this new piece of equipment in our inventory because we’re already seeing the myriad ways it can be used to enhance just about any kind of project imaginable. The perks of this jib over others are numerous. Lots of shooters who have worked with the Seven Jib Compact XL rave about how quick it is to set up. When we at DCTV set it up for the first time, it took us about 5 minutes. That was the first time we ever used it! Now we’re throwing it together in less than 2. Imagine being on your shoot and just wondering what it might look like to have a jib movement. You don’t have to worry “Is it going to be worth it to set it up?” because the answer is “Yes!” It can be put together and taken apart in the amount of time it can take just to figure out the right exposure for your shot. Experiment, get creative, don't worry about the hassle of putting things together because it's actually no hassle at all. Shooters are also really excited by the compactness of the kit. Now, that’s not to say that you’ll be traveling with your jib kit on the subway to your next shoot – the kit includes necessary weights, sandbags, legs, and tripod head. But relative to most other jibs, this one is very, very portable. And sometimes, that’s the deciding factor of whether or not your production is going take a chance on the jib to begin with. Above all, this jib just works. In all sorts of ways. We’re most excited to hear from you about the creative (and safe) ways you guys end up using it for your next project. So give us a call and take the jib for a spin! We’re looking forward to the results! 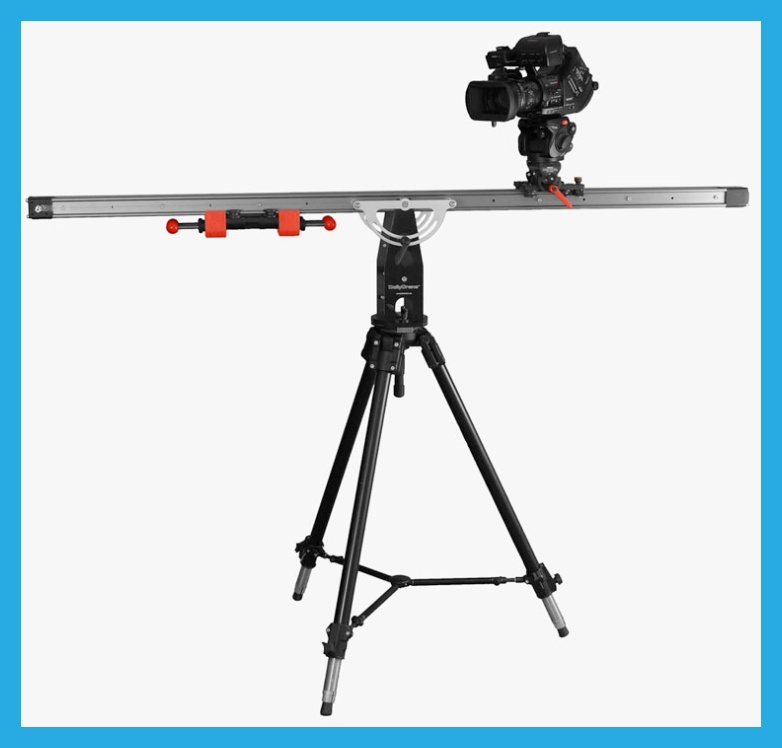 A multi-award winning, counter-balanced, multi-function, multi-angled camera platform combining the function of the slider, camera crane, mini jib and tower. 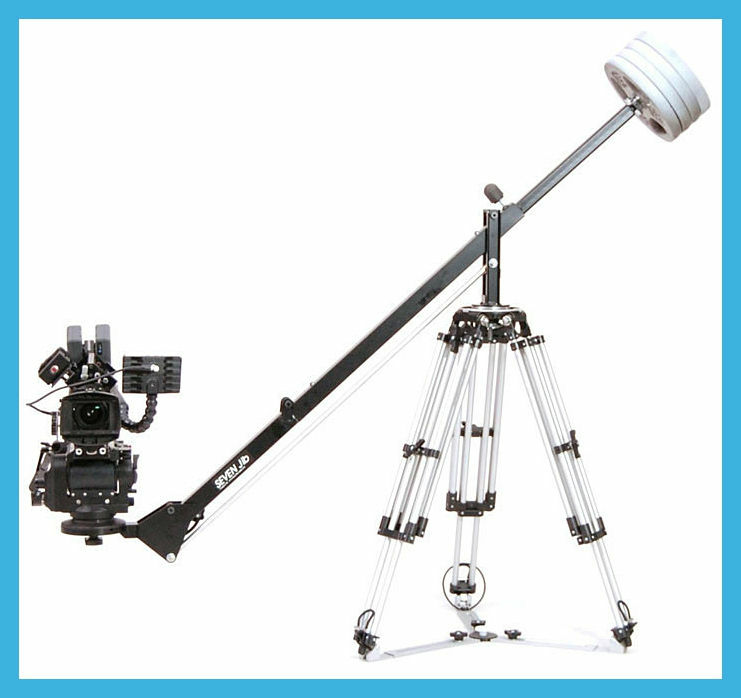 Once set up, the system can instantly change its function from slider to crane / mini jib and back thanks to its unique construction. DollyCrane can be assembled quickly by just one operator. DollyCrane SD will carry payload up to 12kg and DollyCrane SD+ up to 16kg. 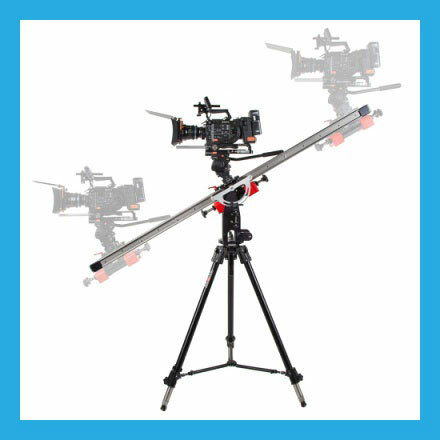 DollyCrane combines the function of the slider, crane/mini jib and tower. 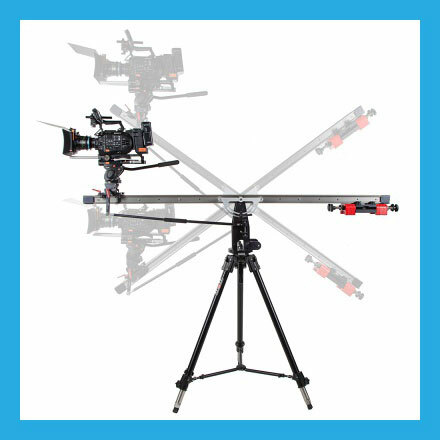 Once set up, the system can instantly change its function from slider to crane / mini jib and back thanks to its unique construction. DollyCrane Slider Dolly The mobile counterweight allows the camera to reach as far as 160 cm which is much more than in other sliders. Also the angles of operations are virtually unlimited – up to 60 degrees and 90 degrees vertical. 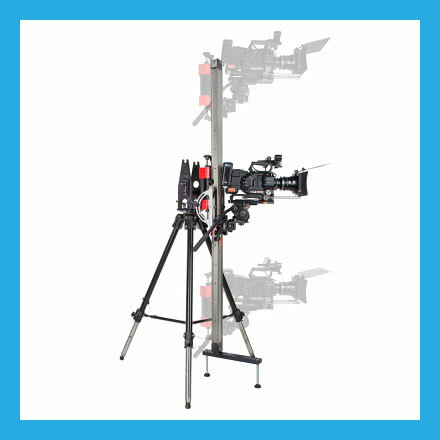 The effort required for the movement has been minimized thanks to the counterweight system – when the camera heads one way, the counterweight goes the other assuring the perfect balance and, as a result – full control. This feature is unique in our camera crane. Moreover, the dolly and counterweight movement is very quiet. DC Slider Crane Mini Jib The crane configuration gives such possibilities as the movement of the camera parallel to the ground in 3 axis. The crane can be moved up to maximum of 3 meters which depends on the tripod base. Additional feature includes locking the camera on a given subject (not being fixed in a given position) through easily adjustable parallelogram bar. 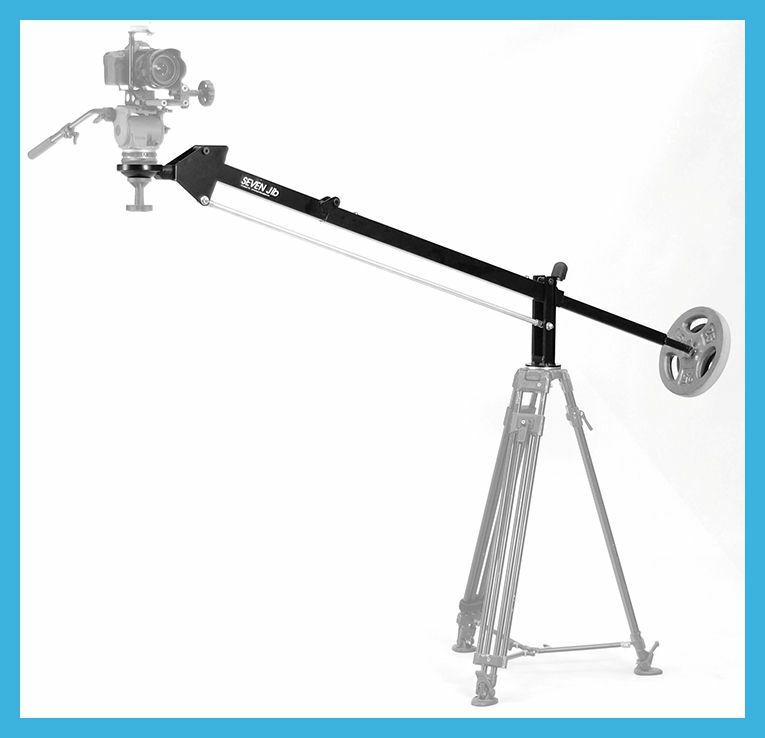 The camera crane working as a jib gives the span of operation of 160 cm horizontally plus 360 degree scope of movements of the jib arm. There is also the possibility to tilt or pan the camera. DollyCrane Tower with the simple removal and repositioning of two handles, the DollyCrane HD becomes a tower allowing for an exact vertical camera move through the full range of the 160cm track. Minimum and maximum heights of the camera moves, when mounted on the tower, are dependent on tripod configuration. The counterbalance system maintains a steady resistance to camera moves reducing the possibilities of irregular movements during the start or finish of a camera move.